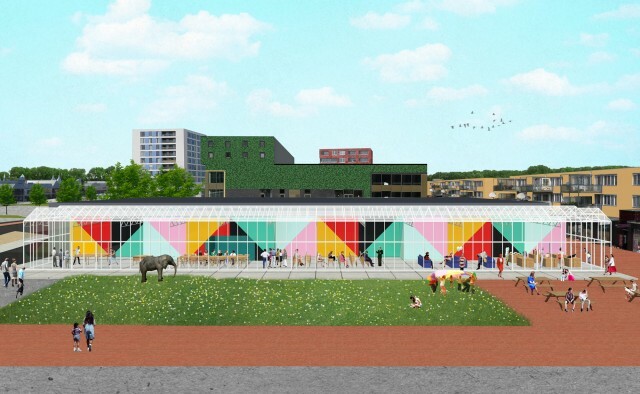 On the most prominent waiting ground in the centre of Almere Buiten, left empty since the 2008 real estate crisis, we are asked by the municipality to develop a concept for a temporary community centre. 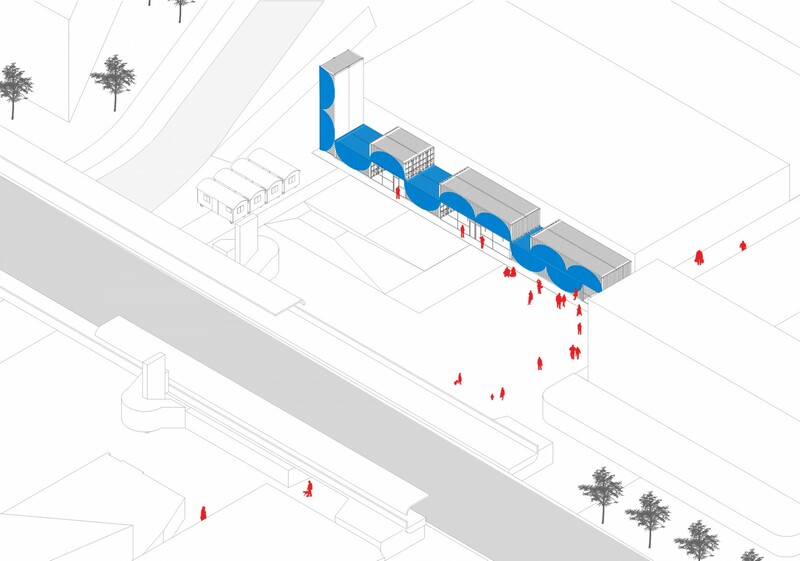 Instead of more m2 of generic retail, like intended in the original masterplan, the new building is supposed to create a platform for a wide range of community initiatives. It aims at being a showcase for many currently hidden energies present in the whole of Almere Buiten. The plot is large, the allocated budget is very limited. 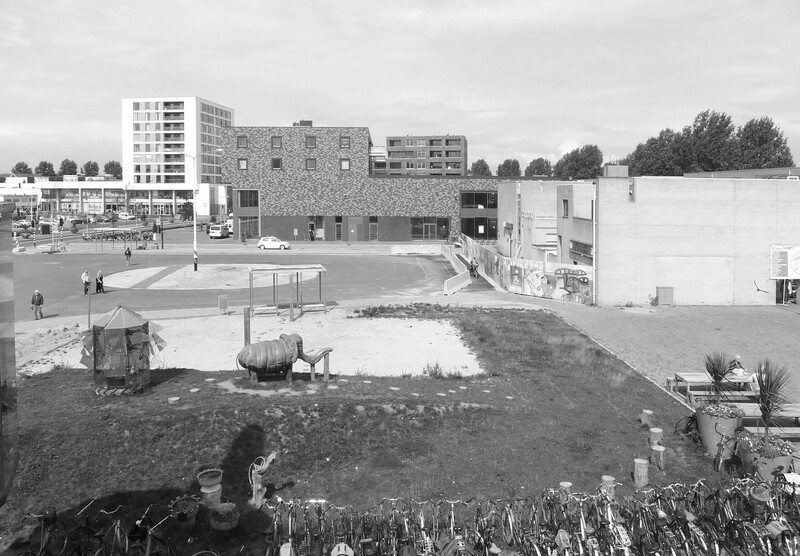 The plot is bordered at the north by a crisis-solution big box supermarket. We organize the various activities (pop up commercial initiatives, lectures, cooking, gaming, etc) in a long and narrow strip that stretches along the entire northern edge of the plot. 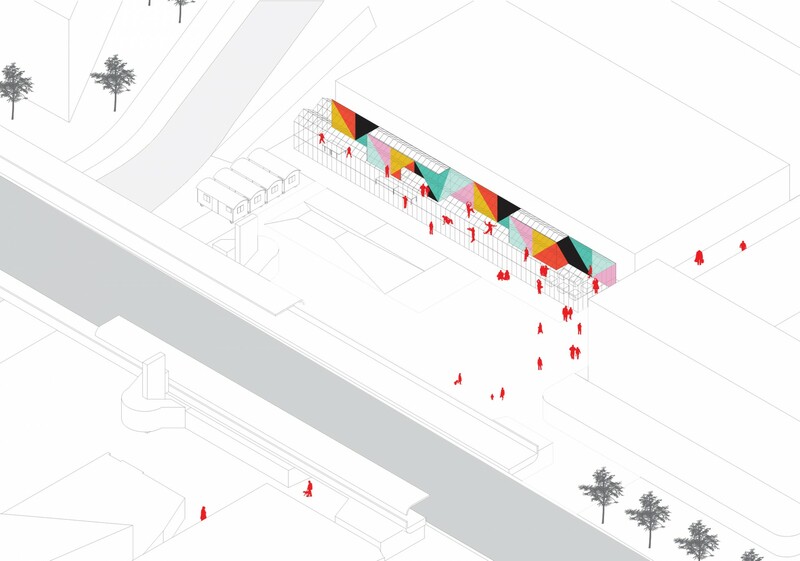 This activities strip forms a front that conceals the bare façade of the big box supermarket and creates a clear backdrop for a temporary public event space facing the station. 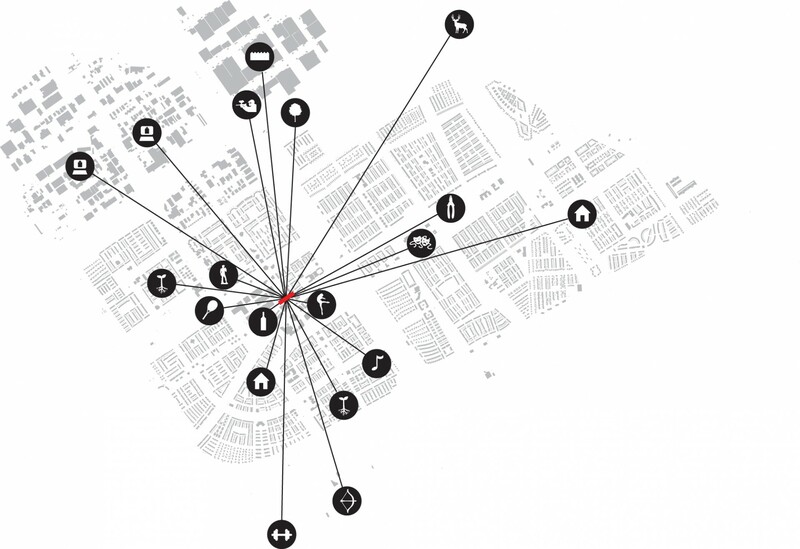 For the materialization we propose a “low cost, maximum impact” strategy. 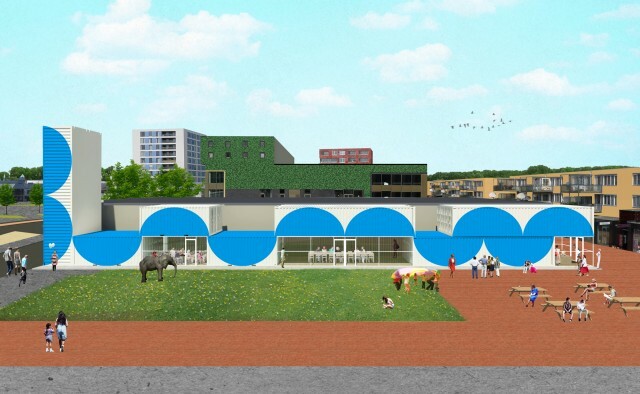 This implies a standard prefabricated system (for example a greenhouse or a container stack) finished with a strong graphic layer that makes the building into a billboard with a positive impact even when there are no activities going on.